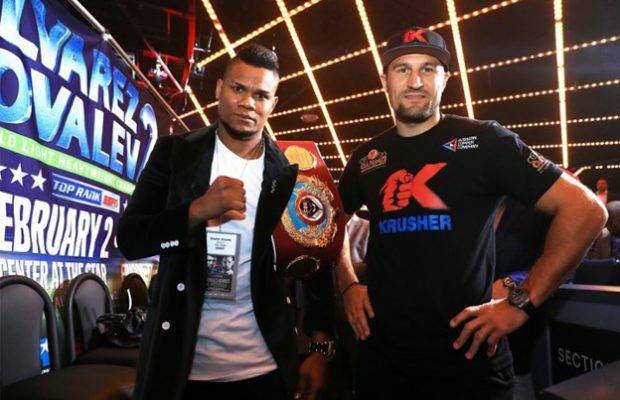 Russian light heavyweight Sergey Kovalev (32-3-1, 28 KOs) is ready for his upcoming rematch with WBO light weight champion Eleider Alvarez (24-0-0, 12 KOs) on Saturday, in Frisco, Texas, and he’s issued a strong challenge to his Colombian opponent. Kovalev was knocked out in seven rounds by Alvarez, who in victory captured the WBO light heavyweight crown in last August. “I made a mistake last time, but this time I will fix it. This Saturday, I will fix this situation and be on top again. If not, I am not the Sergey ‘Krusher’ Kovalev. Believe me, this Saturday will be the best version of me because I turned everything on to get in the best shape of my boxing career.” Kovalev said. “My goal is to collect all four belts, but I dropped this belt on my way to my huge goal. After [the loss], a lot of people thought I should stop my boxing career. No, that’s not in my character to stop my career by losing. When I win, I will think, stop or not to stop? 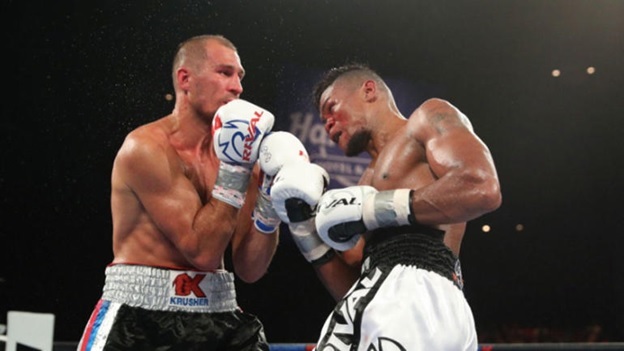 But when I lose, it was 100 percent no.” Kovalev added. The promoter Yvon Michel was with Alvarez during the point of press and wanted to underline to which point the latter is hungry. While many described his victory as a surprise, his entourage knew he had all he needed to triumph. Alvarez did not come off as angry or bitter, but he made his feelings well known about what he thinks of Kovalev’s reasons for why he lost the fight. “What has changed is my popularity, but I’m still the same guy. Thanks to God, I’m a mentally strong person. I have come from the bottom, basically, and little by little, I’ve been getting my stuff. Now I have more, so that’s why I think I’ve been able to handle everything well.” Alvarez said. “I think Kovalev apologizes. When you lose, there are too many excuses, so do not look for them. Many did not know me and thought I had been lucky, but I had a great game plan with my team and I’m going to prove that it’s not just luck. “I am mentally strong. I started from a distance and I climbed the ladder little by little. That’s why I can handle pressure well. Mentally, I am well prepared.” he added.